Covering 5 decades of rock music! They've rocked the Md. State Fair, Seacrets in OCMD and Baltimore's Rams Head Live just to name a few venues, but this high-energy five-piece powerhouse has been building a buzz since 2007. 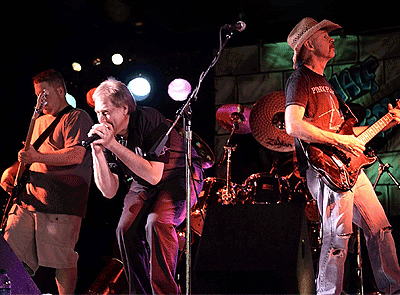 What makes them different from other area cover bands? 3 lead singers, 3 guitars, and a thumping rhythm section deliver the song as close to the original as you will hear. Its mind-bending how many hits they cover from the 70's, 80's and 90's and current hits!! You have to be seriously good to do that. Beware, their shows are fully charged, and their covers are legendary. If you haven't seen them yet, check the schedule, see you there! Always fun for your event and professional too. 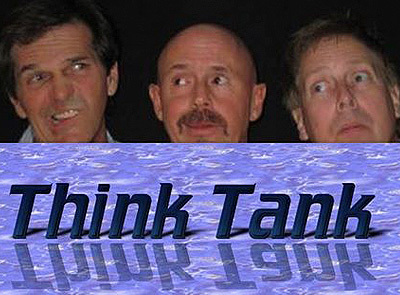 Think Tank is the smaller spin-off of Half Serious, a regional band that has entertained thousands at the MD State Fair and many other regional events. Our 3 piece is perfect for bars, restaurants, weddings and corporate events. We cover five decades of rock; Beatles, Bowie, Stones, STP, Nickleback, Alice in Chains, Goo Goo Dolls, Petty, Poison, AC/DC, Green Day, Muse, Kings of Leon, and more.